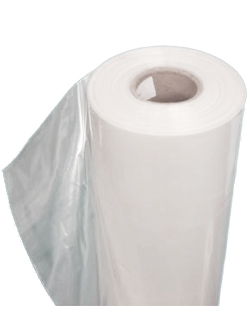 Bulk bag liners can be installed into unlined bulk bags to offer greater protection against moisture and contamination. We also offer several types of bulk bags with liners that offer liners that are fixed inside with tabs during manufacturing. Bulk bag liners are open on one end and sealed on the other, and packaged separately in rolls of 50 liners. Please refer to the chart below for a list of in-stock liner rolls. Contact our product specialists at (800) 645-3183 for additional size requests. Custom FIBC Liners are also available. Please contact us to request a quote.